Henry Kreisel was an author, university professor and Officer of the Order of Canada. He was an inspiring and beloved teacher who taught generations of students to love literature and was one of the first people to bring the experience of the immigrant to modern Canadian literature. 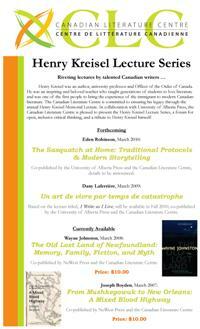 The Canadian Literature Centre is committed to ensuring his legacy through the annual Henry Kreisel Memorial Lecture. 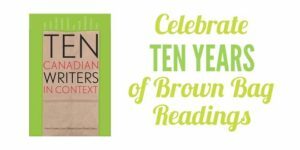 In collaboration with University of Alberta Press, the Canadian Literature Centre is pleased to present the Henry Kreisel Lecture Series, a forum for open, inclusive critical thinking, and a tribute to Henry Kreisel himself. Follow the above link to subscribe online (accepts credit card payments). Each issue sells for $7.95 plus GST and shipping, and annual subscriptions (4 issues) are available for $25.95 plus GST. Cheques should be made payable to “Eighteen Bridges, University of Alberta”. 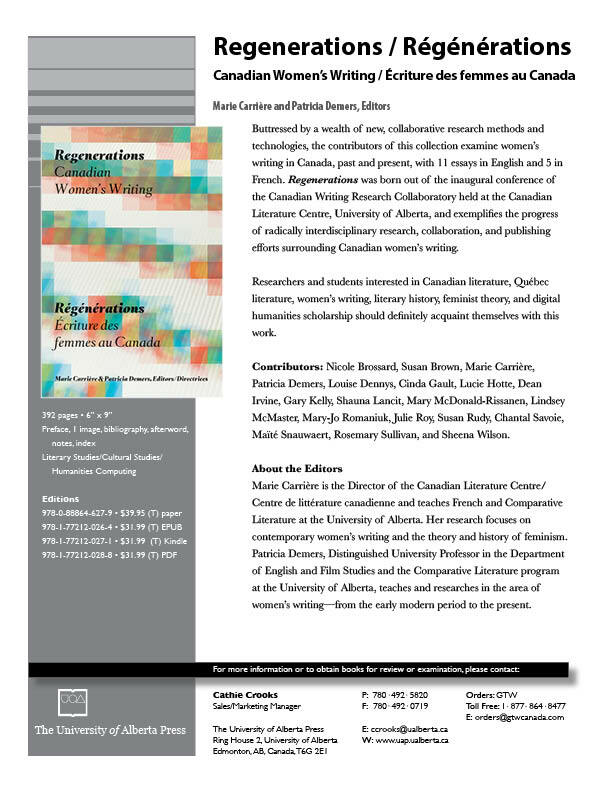 Please mail to: Eighteen Bridges magazine, c/o The Canadian Literature Centre, 3-5 Humanities Centre, University of Alberta, Edmonton, AB T6G 2E5.